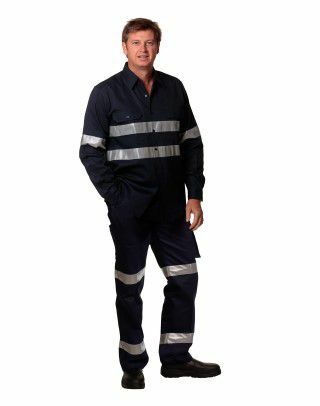 You can find many styles of men's work pants at our online workwear store. 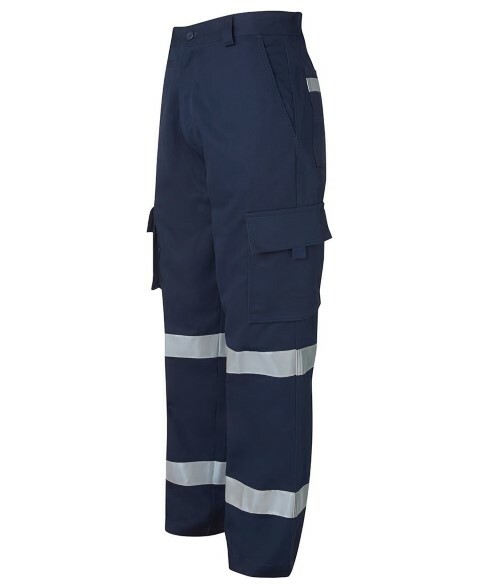 While these work trousers come in traditional colours such as navy, khaki and black, we also have green and white work trousers. 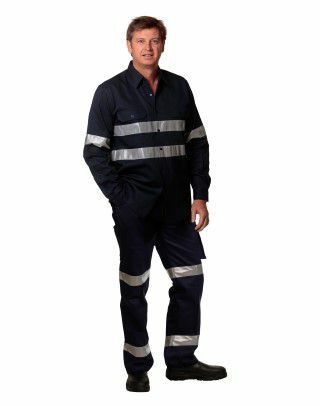 We understand that each of our customers have differing requirements when it comes to work gear. For this reason we provide a wide range. 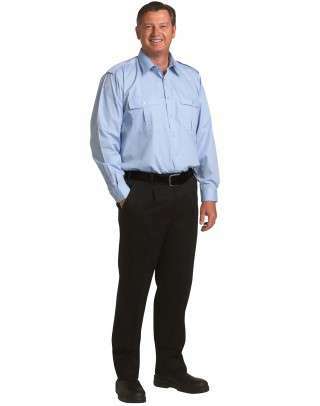 Many people prefer permanent press work pants as it can blend well in office environment, and it looks sharp and business-like. You can find permanent press pants in this page. 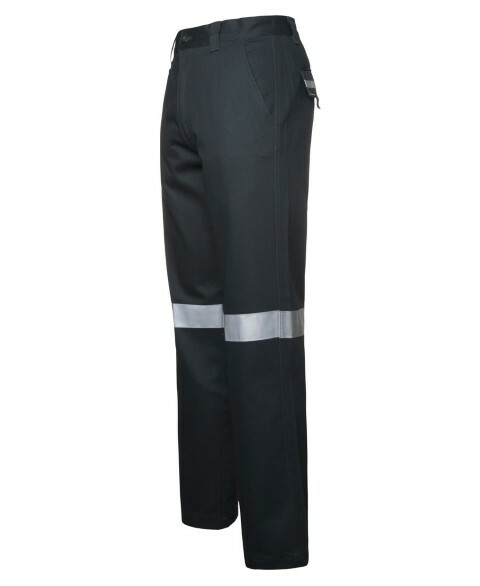 We also offer different styles of trousers in our men's corporate pants section. 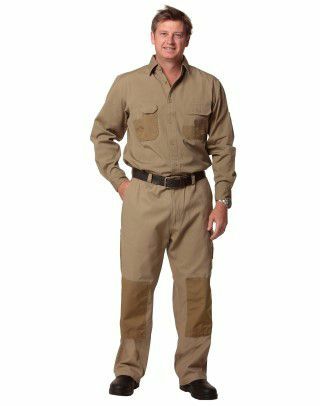 If you are working in an environment where you reqire a tough work pant, then the heavyweight cotton drill cargo pant might be the right choice. 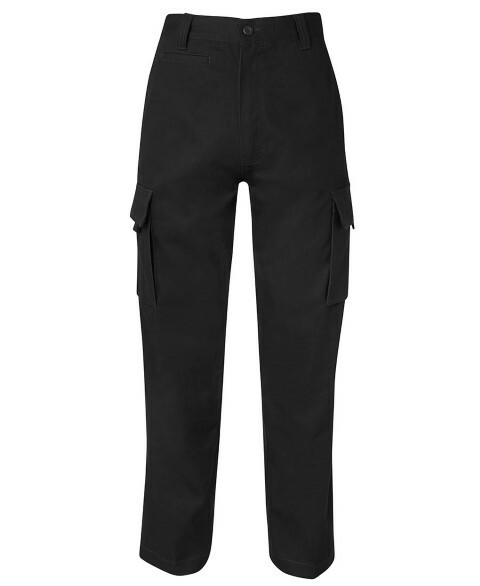 These work trousers comes with cargo pockets, which many tradies find it handy to store things. 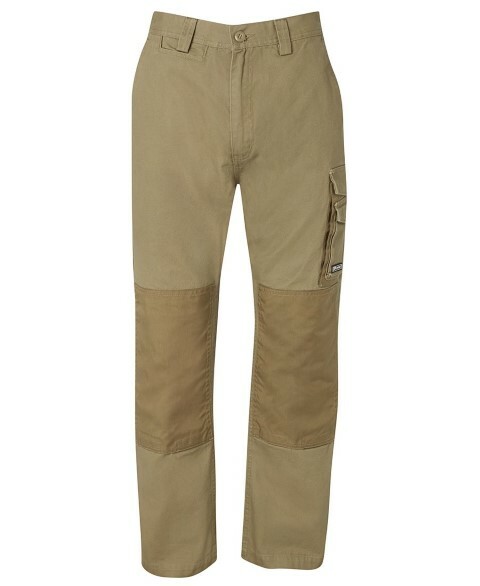 Made from pure cotton, these pants provide durability, as well as comfort. 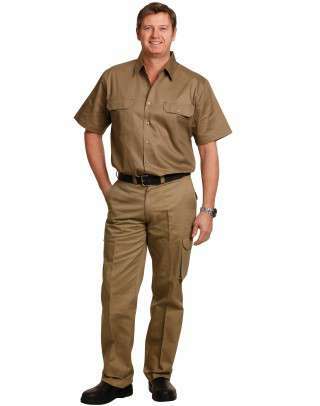 There are many advantages for choosing men's pre-shrunk drill pants as your work trousers. Although cotton has many benefits, it does shrink in the first wash. For this reason we have introduced the pre-shrunk pants, which means that you don't have to worry about shrinking of your trousers after first wash. 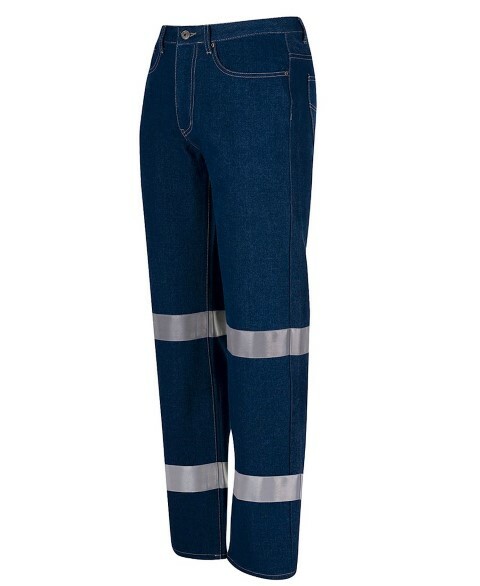 If you are doing lots of bending, the Men's Flexi Waist work pants would be a good choice. 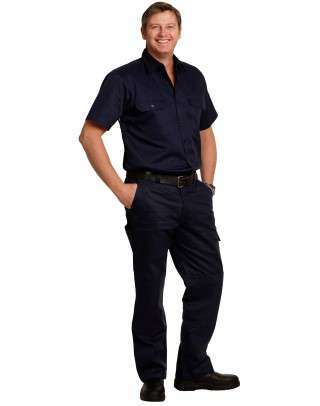 These stain resistant work trousers are made from a blend of polyester and viscose. Such combination offers durability, flexibility, comfort and better colour retention. Check it out! 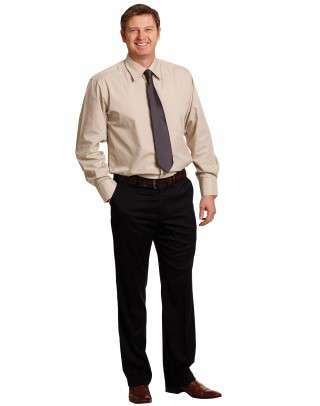 Men's Chino Pants is an excellent choice as a casual work trousers. 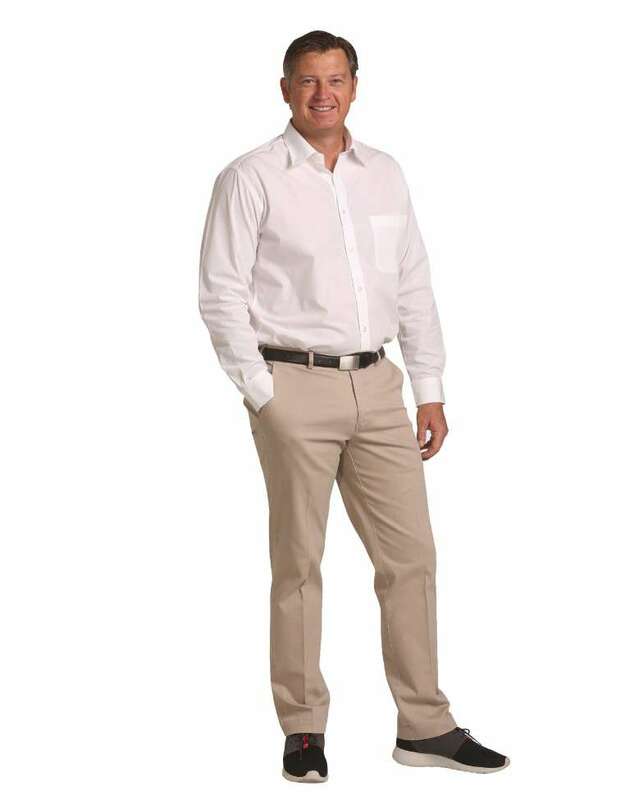 Chino pants are made from 98% cotton, which means comfort. 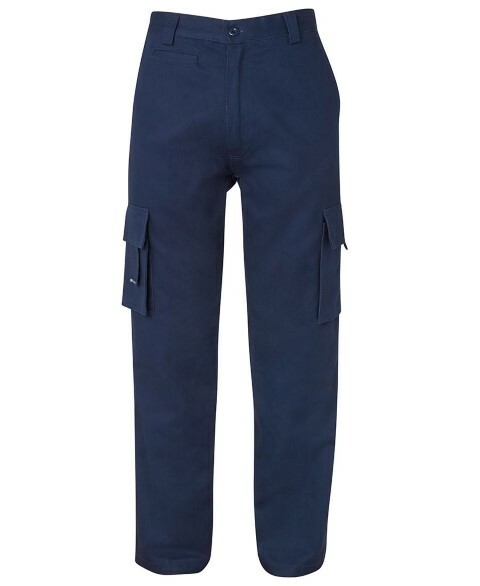 These trousers also contain elastane, which adds a degree of stretch to the fabric. 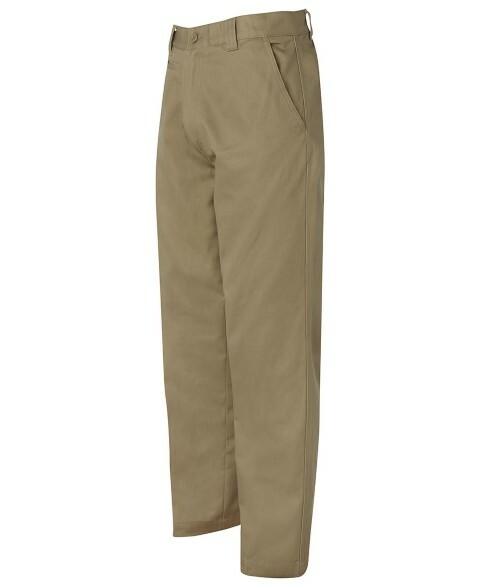 So, if you dont' want to look too corporate, or too casual, than this trousers might be the ideal choice for you. Many people miss the point that men's jeans can be an excellent choice as a work pant. If you prefer to wear a slim fit work trousers, as oppose to bulky pants, then the jeans might provide the solution. 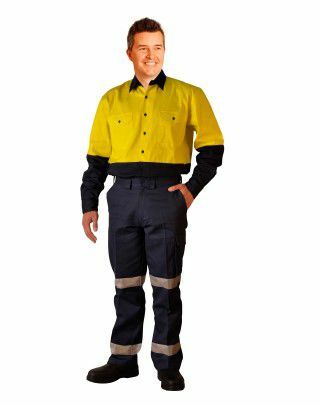 Many of our customers prefer jeans for their work gear as it is tough and stylish. What else one can want?